Ocean Seafood Restaurant has been operating for 2 years, they are well known in Bandar Puteri but if they are new to you this seafood restaurant is located at Jalan Puteri 2/3, it is on the saw row as Public Bank and opposite Sen Heng. The restaurant is easily noticeable with their yellow and green signage. Ocean Seafood Restaurant serves a variety of affordable, fresh yet delicious seafood dishes, the restaurant puts home-style food in a restaurant setting. Thanks to Ocean Seafood Restaurant for the tremendous dinner, I certainly had a great time trying out your best sellers! The restaurant is well know for their crabs and here is one of my favorite dish of dinner! The crab was super meaty and fresh cooked with rich butter salted egg sauce. This good old classic was executed beautifully with sweet and spicy flavor. The crabs were slightly smaller but the meat was still sweet and fresh. This is just finger licking good! Roasted pork ribs served with fried buns. The best part was dipping the buns into the remaining sauce. The kailan is steams are stir-fried and the leafy greens are chpped finely and deep fried to give contrasting flavors and textures. A simple yet delicious dish, stir fried lotus with winged bean, the crunchiness of this dish was excellent. The soft & tender fried beancurd is braised to perfection in a simple and light pumpkin sauce with lots of crab meat. I love how generous they were with the sauce, this will make a great dish for kids as well! A must try! The classic Chinese dish, the rice wine really enhanced the flavor plus it made the dish semed very fragrant! Clams are my favorite seafood and I really hate it when it's just shells or very little meat but at Ocean Seafood Restaurant they actually serve big chunky clams and it was cooked my favorite way, steamed with superior soup! Yummms!! Addictive! Soft and silky battered mantis prawns, dressed in dry chili dressing. Miss the good old fashion chicken wings? This is a great starter before dinner, savour yourself with their sweet and spicy sauce. This is such a steal! The generous amount of crabs, prawns, squid, and lala that was given with it this noodle pot certainly surprised me! 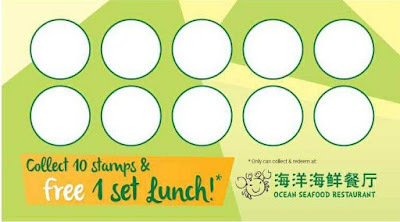 Awesome service, affordable delicious food are Ocean Seafood Restaurant's strong points. Totally coming back for more and recommending this great place to my readers! They are also giving out an additional 10% when you share this blog post on FACEBOOK so be sure to share and show the cashier when you're paying to entitle for this great offer! 21, Jalan Puteri 2/3, Bandar Puteri, 47100 Puchong, Selangor. looks like nice place to dine. 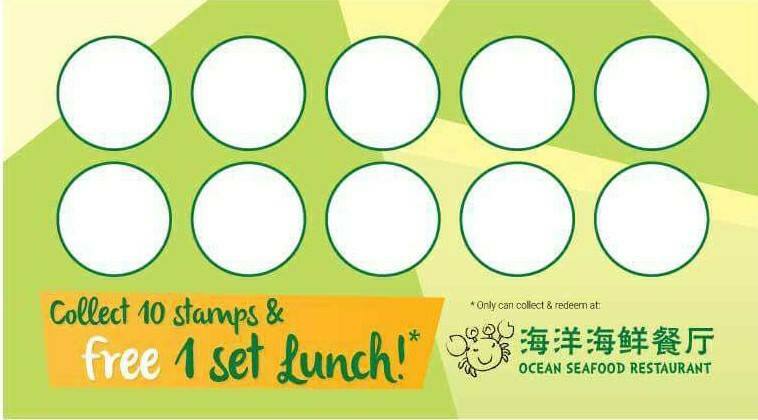 Now can tell my dear where to dine for seafood! The food looks really yummy. Although I am allergic to crabs, I can wallop the rest of the seafood! Hmm this post is making me hungry lol! The crabs looks sooo delicious. Wouldn't mind trying some ! I super agree with you regarding the price is affordable and the food is great too. The crabs are calling me.. Omg i love seafoods! I prefer this than eating other meat. This restaurant serves awesome foods. Yummy! OMG This blog made me soooo hungry. Those crabs look delicious! I super want to try their crab dishes..and the lotus with fried vege....should I just close my eyes and go eat there?